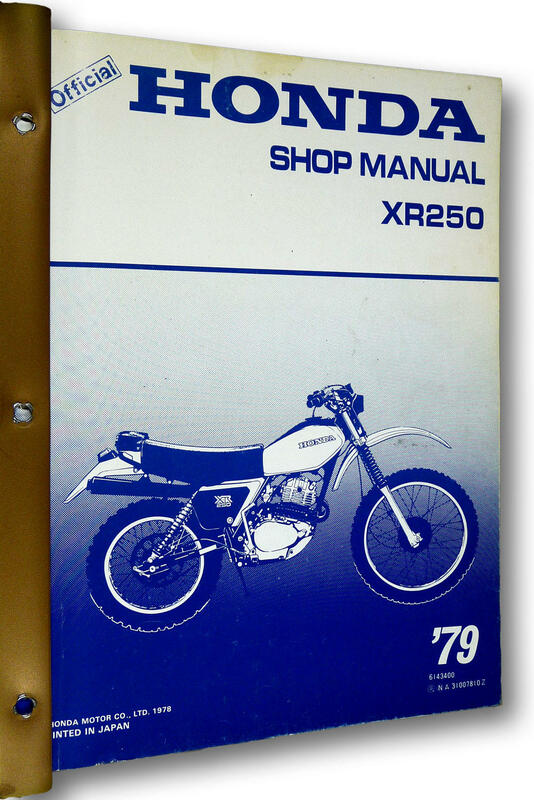 Description: Book has been placed in a vinyl binder from an unrelated company with the words "HONDA XR 250" written in marker on the front of the binder. Light rubbing to surfaces of wraps. Has a little soiling to fore edge of text block. October 1978. Includes Addendum for 1980 (published Sep 1979) in back of binder. It is in Good condition. Fore edge of pages of addendum are soiled.